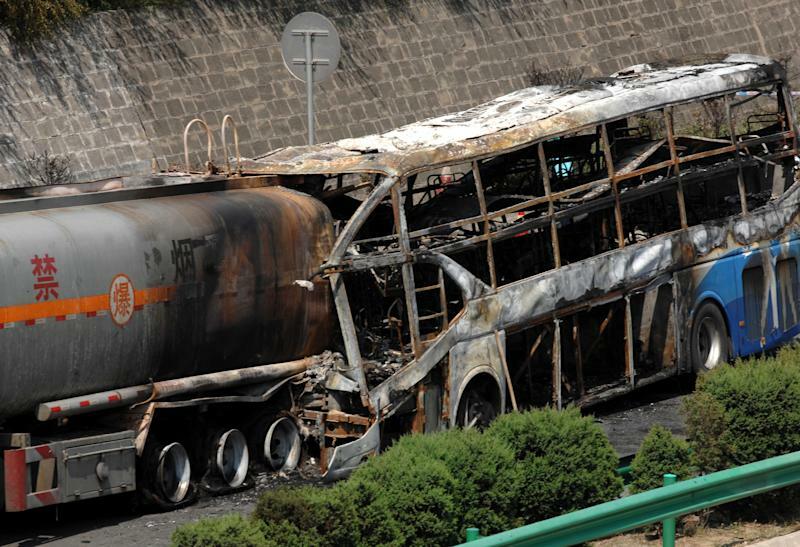 BEIJING (AP) — A double-decker bus rammed into a tanker loaded with highly flammable methanol on a northern Chinese highway on Sunday, causing both vehicles to burst into flames and killing 36 people, state media said. The official Xinhua News Agency said 39 people were on the long-distance sleeper bus when it crashed and only three survived. It said the survivors were hospitalized, but didn't describe their condition. The tanker had just returned to the highway after a rest stop when it was apparently rear-ended by the bus at around 2:40 a.m. close to the city of Yan'an in Shaanxi province, the official China News website said. 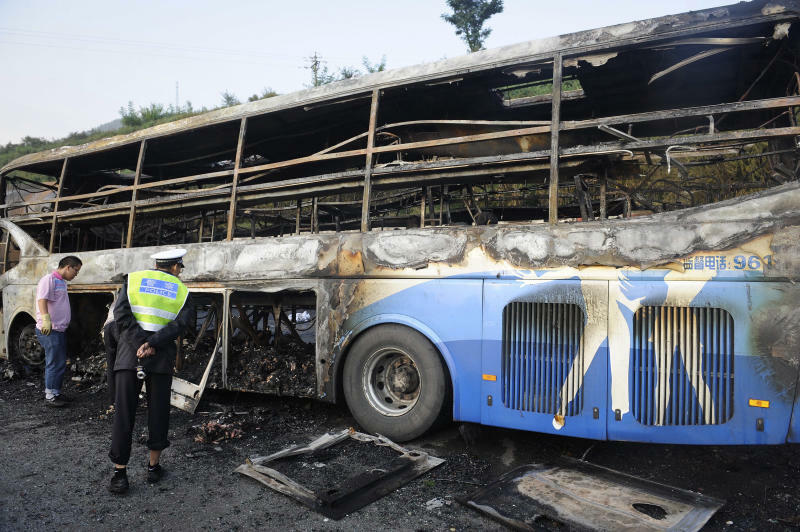 The bus had left Hohhot in Inner Mongolia and was headed south to Xi'an city, it said.